Voted by many as the greatest city on the planet and as a rival to New York when it comes to the capital city of the Western World, London simply has it all! 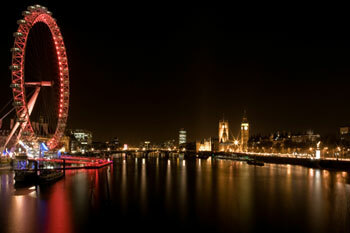 Choose to study English at one of our schools in London to be inspired by one of Europe’s most incredible cities. Discover the vibrancy of the individual neighbourhoods that make up modern day London, with an ambience that can change completely from one part of the city to the next! Whether you are attracted to or interested in art museums and galleries, the complex and colourful history of the city, the bustling nightlife, the quirky street life, charming English pub life, the array of architecture, to the diverse selection of so many places to eat and drink, to the hipster hang-outs, to the flair of Oxford street, or by the endless choice of markets, events, concerts and shopping possibilities - whatever your tastes and motives you will be able to thoroughly make the most out of your English language course and your time in London! Our London (Kings Cross) school provides a third option in England’s cosmopolitan and dynamic capital city, where you can learn or improve your English just a couple of blocks from the new Kings Cross St Pancras station and close to very many of London’s main tourist attractions! 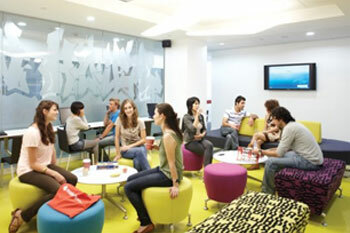 The school is modern and fully equipped, with 18 classrooms, a large student lounge, study rooms filled with language learning resources, an internet cafe with computers and high-speed WiFi internet access, as well as an on-site snack bar. 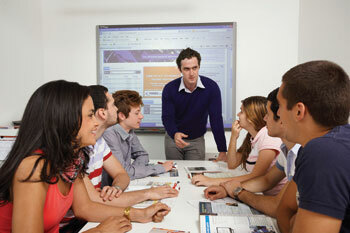 The school was established in 2000 and offers a wide range of English language courses to suit students of all levels of English. The aim of the teachers is to help students progress rapidly and to gain confidence in speaking English, in all kinds of every-day situations, or in their professional or academic environment. We want you to have a rewarding, enjoyable and inspiring time at our school! If your aim is to improve your overall level of English and ability to communicate effectively, then you can choose one of our general English courses at our London Kings Cross school, starting on any Monday of your choice! You can choose courses with either 20, 25 or 30 Group classes each week, in groups of maximum 15 students per class, or you can choose to take a course of ?Private English classes if you prefer. Our general English classes develop all aspects of your English language skills, including grammar, speaking, reading, writing, vocabulary, listening and pronunciation. Our school also offers a Business English course, for students who wish to improve their English for future job prospects and career purposes, whilst learning real workplace skills through simulations and by using many different resources. For those who are preparing to take their IELTS, or Cambridge exams then we also offer exam preparation courses with the aim to help you to gain confidence in English, achieve your best possible mark in the exam and to gain a globally recognised certificate. These qualifications can help students to gain admission to English speaking universities, or to apply for better jobs! Please note that the exam fees are not included in the course prices. Be sure to contact us with any questions you may have regarding these language programmes! The experienced accommodation team at our London Kings Cross school are dedicated to ensuring that your stay is as comfortable and as enjoyable as possible and they are always happy to help and advise you. There is a wide range of accommodation on offer at our school in different parts of London, for you to select according to your preferences and budget. Please bear in mind that the accommodation options more conveniently located closer to the city centre may not be of the same standard or the same size as properties that are situated a bit further away, which are generally in more residential areas and also quieter. From a linguistic point of view, host family accommodation is the best way to find encouragement for practising the English you have learnt in class, as your host will be able to help you! The school offers homestays in Zone 2 (25 - 60 minutes from the school), in Zone 3 (35 - 65 minutes from the school - a more of a residential area), or in Zones 4-5 of London (40 - 70 minutes from the school and suburban, quieter and greener). If you would prefer to have the chance to meet as many other international students as possible during your English course, you can opt to stay in the student residence (zone 2 or zone 3), in the summer residence (during July and August), or in shared or studio apartments. These options are normally self-catering, some with private kitchens or with shared kitchens. You can also choose a private or shared bathroom at an extra cost. The school has various apartment options near Willesden, Willesden Green, Camden Town, Tottenham Hale and also in South London. Most of the self-catering accommodation offers free internet access. Bed linen is included and there are laundry facilities available at or very near each type of accommodation. 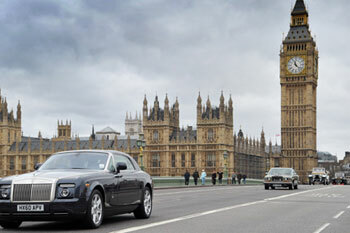 During your stay you will have the chance to experience London to the fullest. The school offers a huge selection of activities and events each week as part of the cultural programme and to help you get to know London better. The school staff will also be more than happy to help and advise with any queries you have regarding attractions or events in the city. Students at our London Kings Cross school also have the chance to buy tourist entrance tickets at competitive student rates, to places such as: The Tower of London, Madame Tussauds, The London Dungeon, The London Eye or to Kensington Palace and Hampton Court Palace! Activities are arranged every week in order for you to socialise with other students, get a taste of the local culture, practise your English and completely enjoy yourself whilst immersing yourself in the language! There are dance and yoga classes on offer, guided tours to monuments, museums and galleries, football matches in Regent’s Park, parties, film nights, as well as weekend trips to places such as Brighton and Oxford and overseas trips to other cities in Europe are also sometimes available! 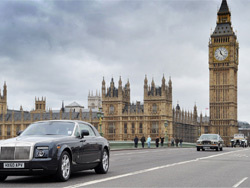 For a personalised service, book an airport transfer on your arrival in London to get from the airport to your accommodation. Students who are arriving to the school’s accommodation later than 20.00 hours will need to book this service.